Just steps from Lake Travis, Casa del Sol Bed and Breakfast is also within a 10-minute drive of Hippie Hollow. This business-friendly bed & breakfast is also within a 30-minute drive of One World Theatre and Lake Austin. Set your bags down and relax in one of the 5 comfortable rooms, complete with patios, private yards and coffee makers. Kitchenettes, TVs with cable channels and in-room massages are added in-room conveniences. Limited housekeeping is available. 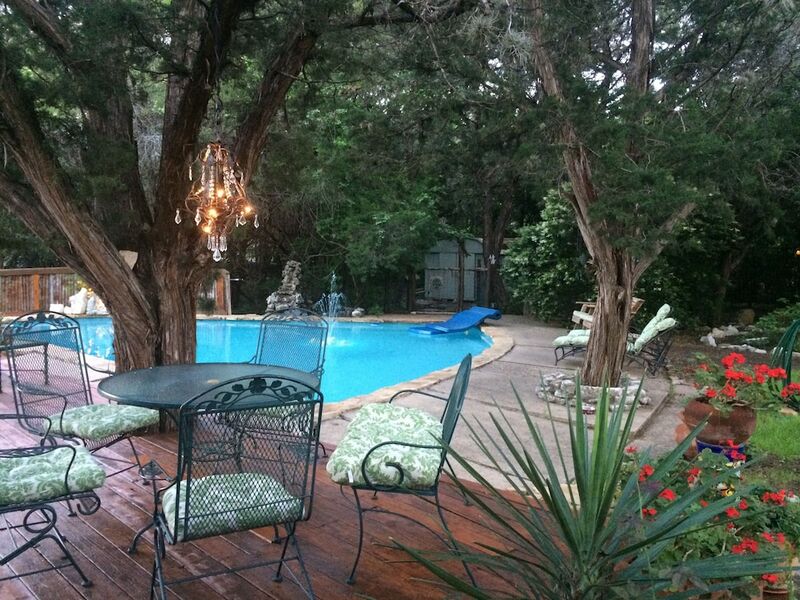 With an outdoor pool, a garden and a spa tub, this bed & breakfast makes a perfect base for exploring Austin. We think you'll also appreciate the barbecue grills and express check-in. Take advantage of the free WiFi in rooms and public areas, as well as continental breakfast served daily. Self parking is an added bonus. Casa del Sol Bed and Breakfast features an outdoor pool and a spa tub. Public areas are equipped with complimentary wireless Internet access. Guests can enjoy a complimentary breakfast each morning. This business-friendly bed & breakfast also offers barbecue grills, a garden, and express check-in. Complimentary self parking is available on site. Casa del Sol Bed and Breakfast has designated areas for smoking. A complimentary continental breakfast is served each morning between 6 AM and noon. This property's policy is to refuse certain bookings for the purpose of group events or parties, including pre-wedding stag/bachelor and hen/bachelorette parties. Guests under 16 years old are not permitted at this adults-only property. The property allows pets in specific rooms only and has other pet restrictions. Guests can arrange to bring pets by contacting the property directly, using the contact information on the booking confirmation.